"Absolutely my go-to pickup and preamp, Bartolini is my first choice hands down. These things are amazing!" David began playing bass at an early age after dabbling on keyboards and drums. Growing up in the church and after seeing a gospel band, he fell in love with the bass. Dave has played in bands for several years in many different genres, honing his style and sound. 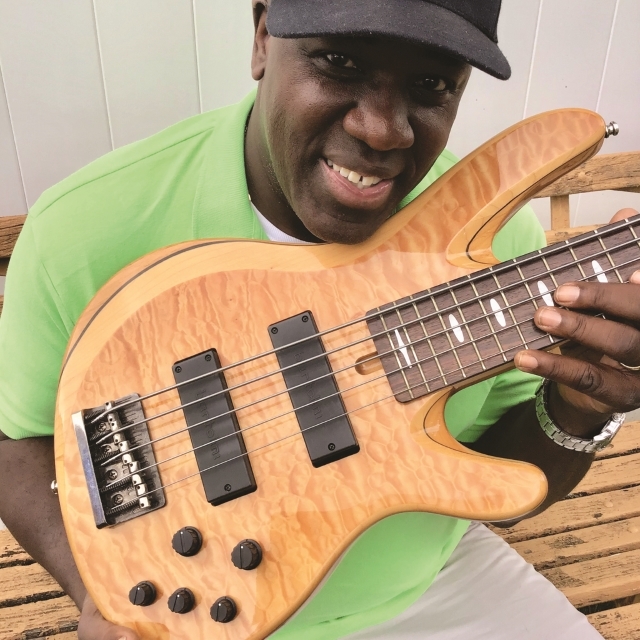 These days David can be found jamming throughout the US with several touring artists such as Theo Peoples, The Magic of Motown and others, at corporate events, weddings and clubs with the “DownCity Band” or at church on Sunday. In addition to electric bass, Dave can be seen playing synth bass when it’s needed. He has also become well versed at live sound engineering and recording using Protools and Reason.